Geneva Cleaners Team works hard at making sure you have the cleanest clothes! Eric began his working career at Geneva Cleaners at the front counter and in the back room. 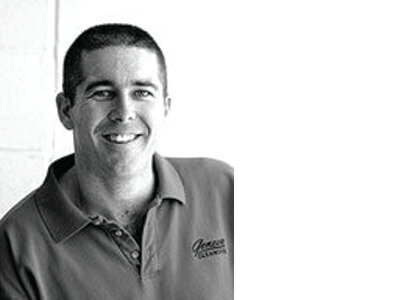 Scot, Eric’s brother, also began his working career at Geneva Cleaners and still provides great support for the family business, while he focuses primarily on conquering some health challenges. Geneva Cleaners began as Geneva Dry Cleaning and throughout the years; family members have worked in the shop and the business has been handed down to maintain the integrity of our vision and commitment to excellence. Eric took to working the front counter and enjoys working with people. Where some folks see dry cleaning as a chore, Eric sees each and every day as an exciting challenge filled with new opportunities to meet new and interesting people, as well as a chance to greet old friends. Jazmin has been with Geneva Cleaners since 2014 as a restoration specialist with our CRDN partner. 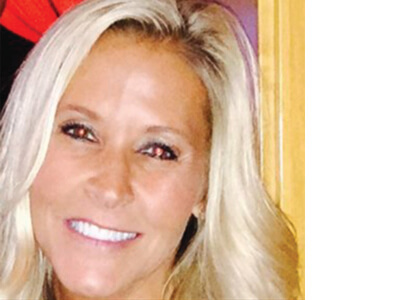 In her position she is responsible for working with customers and insurance carriers to collect, restore, and give household items back to their usable condition. She tells us that her favorite part of working at Geneva Cleaners is helping customers overcome the challenges after disasters. When she is not helping families get their lives back together, she enjoys running and outdoor fun with her son. Though she doesn’t live in Geneva she certainly enjoys the shops and restaurant whenever she gets the chance. 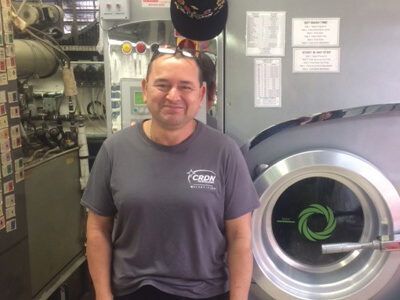 Fortunato (aka Nato) began with Geneva Cleaners in 1991 and is a master dry cleaner, stain remover, and assists with maintenance as needed. He says his favorite thing about working at Geneva Cleaners is removing stains. Sounds odd to some but he likes to make our customers happy, especially when he can surprise them by removing a stain they thought would never come of their clothes. In his off time he enjoys having lunch around Geneva, IL as well as repairing automobiles. 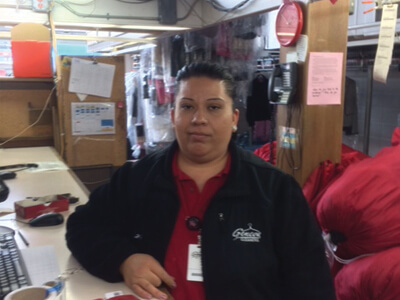 Sarai began with Geneva Cleaners in 2015 and is a top notch customer service representative, serving customers at the front counter and Car Hop service. He say his favorite thing about working at Geneva Cleaners is interacting with the customers. A great many customers are regulars and he enjoys seeing them over and again. When he isn’t hard at work he enjoys camping and cooking. Though he lives outside Geneva, he enjoys shopping in the area whenever he gets the chance. 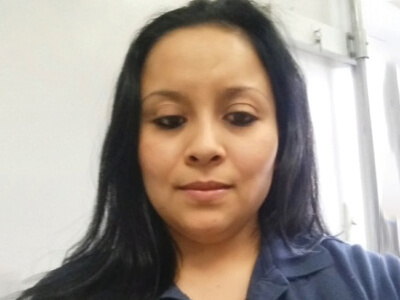 Lluvia has worked at Geneva Cleaners since 2004 and is the Production Manager responsible for work flow, quality control, and directing maintenance when needed. 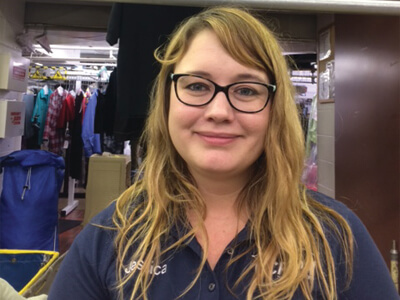 She says her favorite thing about working at Geneva Cleaners are her teammates. Working with a great team really makes things more enjoyable. When she’s not keeping the production line in order she loves to spend time with her family. She enjoys the restaurants and shops in Geneva and especially loves Swedish Days. 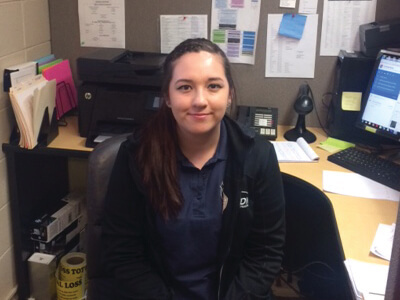 Joey began with Geneva Cleaners in 2010 and like Sarai works the front counter and Car Hop serving customers. She says the best two things about working at Geneva Cleaners are the customers because they make the job fun and her co-workers because they are her 2nd family. When she’s not taking great care of customers, she loves all types of outdoor activities and spending as much time with family as possible. When we asked her if she shops in Geneva, she excitedly replied that she loves this town. 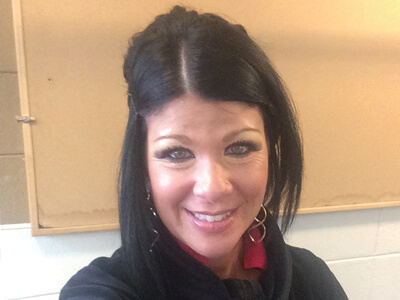 Jessica has been with Geneva Cleaners since 1999 and supports the back office with billing and administrative responsibilities. She works very closely with the restoration department as well. Jessica says she really enjoys working with such a great team and helping to make customers happy. When she’s not crunching numbers and assisting the big boss, she enjoys the outdoors, biking, and her beautiful family. In the town of Geneva she likes the shops, the activities, and the many bike trails and parks. Oh and she loves Swedish Days; especially the great sales. 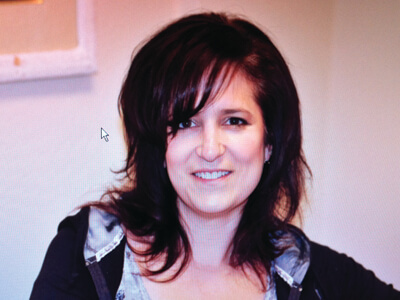 Lisa Parducci, CRDN Project Manager began with Geneva Cleaners in 2016 and is responsible for meeting with homeowners, adjusters and contractors to manage loss from start to finish. This includes scoping the loss site, helping the homeowner focus on pulling “immediate need” clothing and trying to make a traumatic situation as smooth and comfortable as possible. Her favorite part of being with Geneva Cleaners is that they are truly a team trying to help people in a bad situation and she says they have some fun along the way. When she’s not saving the day for others, she enjoys traveling, sporting events, cooking, reading and spending time with family & friends. Tracy LaFarie, CRDN Representative started with Geneva Cleaners in 2008 and has been an integral part of assisting homeowners in recovering from disasters such as fire, smoke, water, mold, etc. She says her favorite part about working for Geneva Cleaners is the people; they are the hardest working people she knows. During her free time Tracy enjoys decorating, working out, and hanging out with her dogs. She also really loves all the boutiques and restaurants in Geneva.